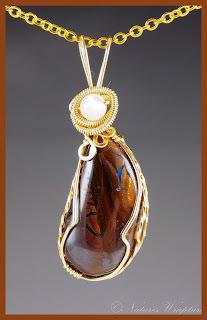 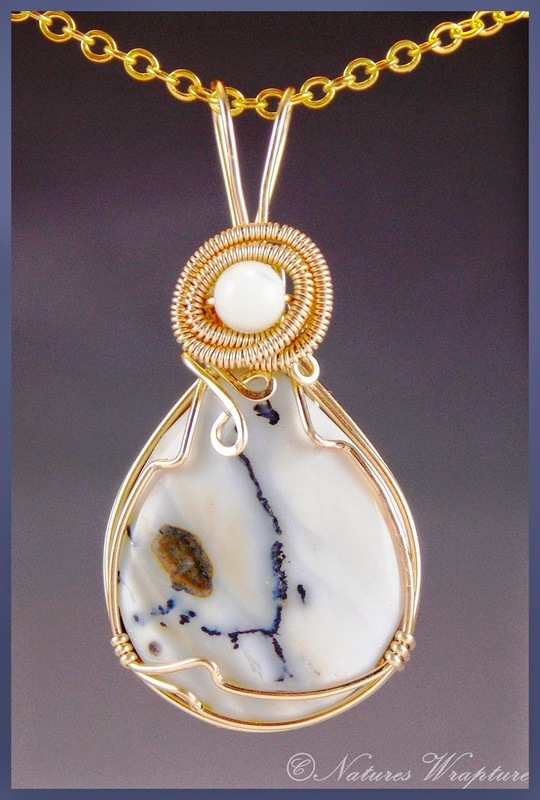 Boulder Opal Wire Wrapped Pendant in 14k Gold fill with Mother of Pearl Accent. 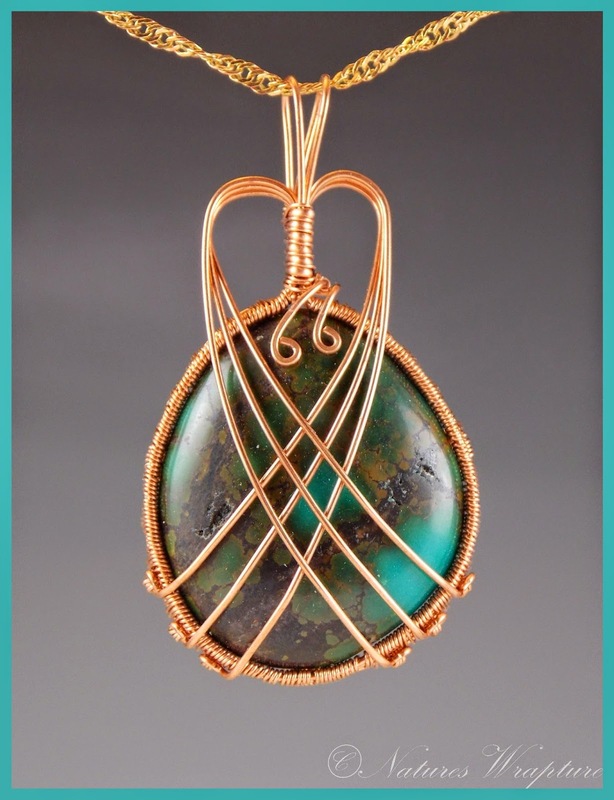 1 5/8" x 5/8"
Turquoise in copper wire wrapped pendant. 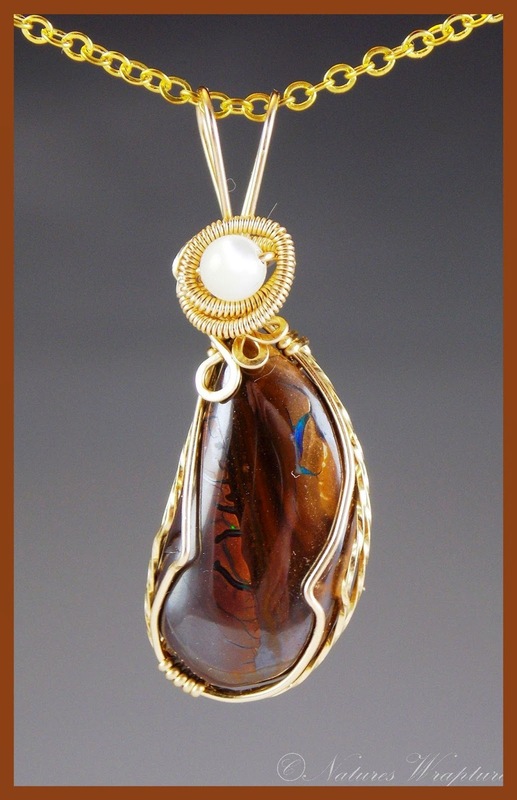 This natural turquoise is a deep olive green in black and dark brown matrix.